Very little is known about Davidson Matthew, a poker player from Toronto, Canada. He emerged from literally nowhere to take second place in the World Poker Tournament Five Star World Poker Classic no Limit Hold ‘Em at the Bellagio in Las Vegas, taking home nearly $2 million. Davidson Matthew had played poker online at Paradise Poker for some time and won a $25 satellite tournament that bought him entry to the event. He had previously been an unknown ATM company president. Davidson had in fact only been playing poker since 2004 with his friends and then online for fun. Nobody would have ever expected him to win as much as he did! Ultimately he was beaten by Joseph Bartholdi, but Davidson Matthew miraculously beat out names like Phil Helmuth, Phil Ivey, Johnny Chan and Doyle Brunson at the final table. 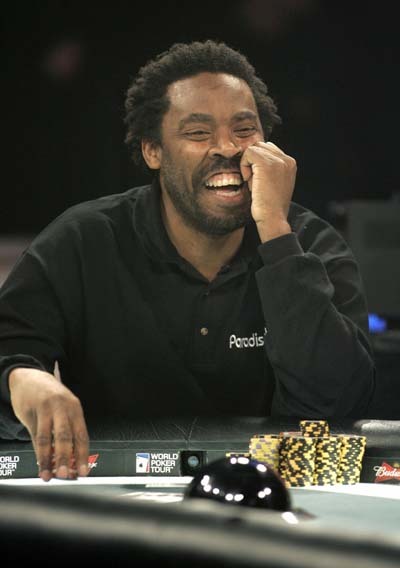 Since that amazing result, Davidson Matthew has had a measure of success in a number of poker tournaments around the world, including an 11th place finish in the WPT Legends of Poker No Limit Hold ‘Em in season five and 18th in the LA Poker Classic Limit Hold ‘Em in February 2007. Davidson Matthew has won little in terms of cashes since the 2006 second place and yet is beginning to make a name for himself on the poker circuit. He has turned professional on the winnings of the event that made him famous. However, nobody should forget that he is still learning and is more than capable of being a force at the table in future!